The world’s most famous music logos are instantly recognizable to music fans around the world. But how did they become so ubiquitous, and what’s the secret to a great music logo? The world’s great music logos embody the personalities of the bands they represent. For example, the Rolling Stones’ tongue logo (read the history below) communicates the band’s lust-fueled attitude while also representing Mick Jagger’s famous lips. Another attribute of the Rolling Stones tongue logo is that it has decades of history under its belt. Like any great logo design, music logos require reinforcement over time. Let’s take a look at four of the world’s great music logos, including their history and the factors that influenced their success. Nine Inch Nails’ bold, symmetrical monogram almost transcends typography entirely; it feels like a standalone symbol or brand. “Gary Talpas and I came up with that back in Cleveland,” says Trent Reznor (referring to longtime NIN designer and art director Gary Talpas). 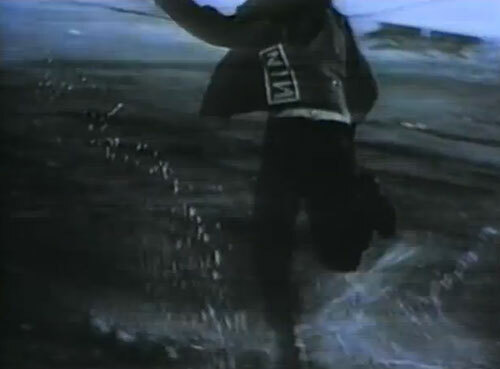 Reznor said of the Nine Inch Nails logo: “I was inspired by the Talking Heads type on the Remain in Light album.” Presumably it was the reversed ‘A’s that inspired Nine Inch Nails’ backwards ‘N.’ However one can imagine that the digitally distorted faces might’ve appealed to Reznor’s aesthetic sensibilities as well. Before Glenn Danzig was a fishnet-clad meathead, he belted out macabre classics with his seminal horror punk outfit the Misfits (who reunited with Danzig for recent performances). The Misfits skull logo is easily rock ‘n roll’s most badass. Its eyeballs, creepy decrepit grin, and high-contrast photocopy style make it instantly recognizable. It’s hard to do something with skull imagery that hasn’t been done a million times, but the Misfits’ skull is unique and distinctive. According to Misfits Central, the band’s first use of the logo was on the flyer for a 1979 Max’s Kansas City gig (you can also hear Misfits guitarist Doyle Wolfgang von Frankenstein discuss Misfits history on the Culture Creature podcast). The handmade flyer and logo both epitomize the band’s horror themes and DIY punk ethos. 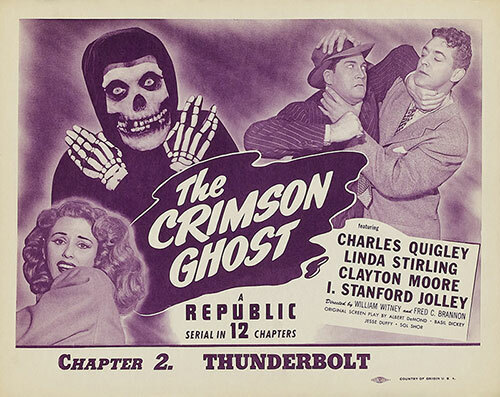 Danzig and bassist Jerry Only lifted the skeleton image from the 1940’s serial The Crimson Ghost. In the 30+ years since the iconic logo’s creation, Only has plastered it on every trinket and bauble he could wring a dollar out of. In 2014, Danzig finally lawyered up and brought the hammer down on his former bandmate. The Rolling Stones’ iconic ‘tongue’ logo is a luscious graphic jewel of pop art perfection. The tongue embodies the band’s rebellious sexuality and Mick Jagger’s mouth. It conveys late-sixties connotations of free love and LSD. Designed by Jon Pasche, it made its first appearance on the band’s Sticky Fingers album. In 2012, street artist Shepard Fairey updated the tongue with some very sloppy typography for his Stones 50th anniversary logo. 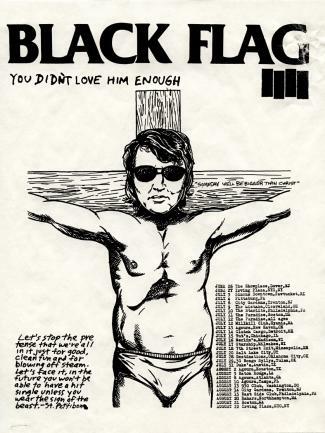 The Black Flag logo was designed by artist Raymond Pettibon, who is the brother of Black Flag guitarist/leader Greg Ginn. According to the documentary series ‘The Art of Punk’ (view it below), Pettibon is responsible not only for the band’s logo but for the band name itself. He went on to build an iconic, all-encompassing aesthetic for the band, creating dozens of designs and illustrations for their flyers, album sleeves, and t-shirts. He created a ‘complete brand experience’ before modern branding jerks ever dreamt up terms like that. The logo has several visual connotations: it can be interpreted as a waving flag or as prison bars. Pettibon said that the logo design was so obvious that “ninety percent of motherfuckers would come up with the same scheme.” I think he’s wrong; the multiple images in the logo give it a unique complexity. Ninety percent of motherfuckers would’ve designed this. The Black Flag logo is one of the most recognizable logos in rock and it has become one of the most popular tattoos in the world. Its genius lies in its simplicity, and in its pure representation of the band’s music and confrontational attitude.